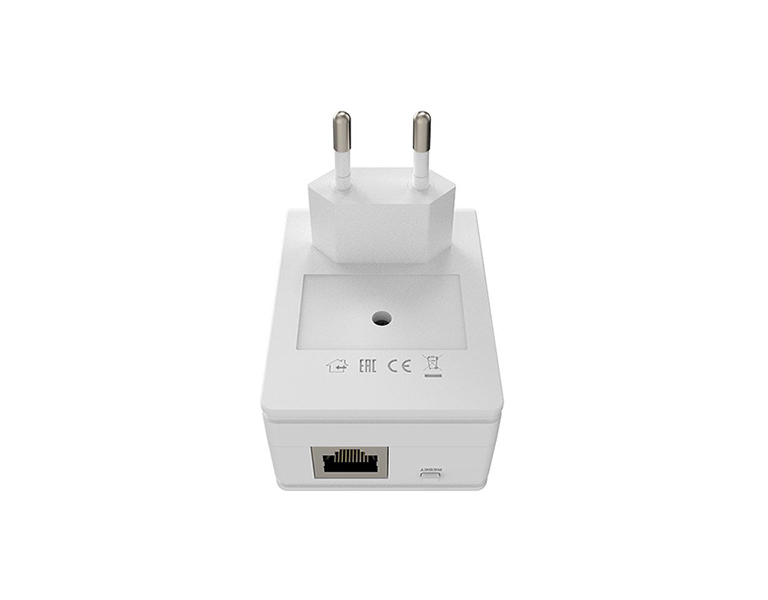 The PWR-LINE AP is a wireless access point with a single Ethernet port, a built-in 802.11b/g/n WiFi radio and capability to connect to other PWR-LINE devices through the elecrtical lines in your premises. 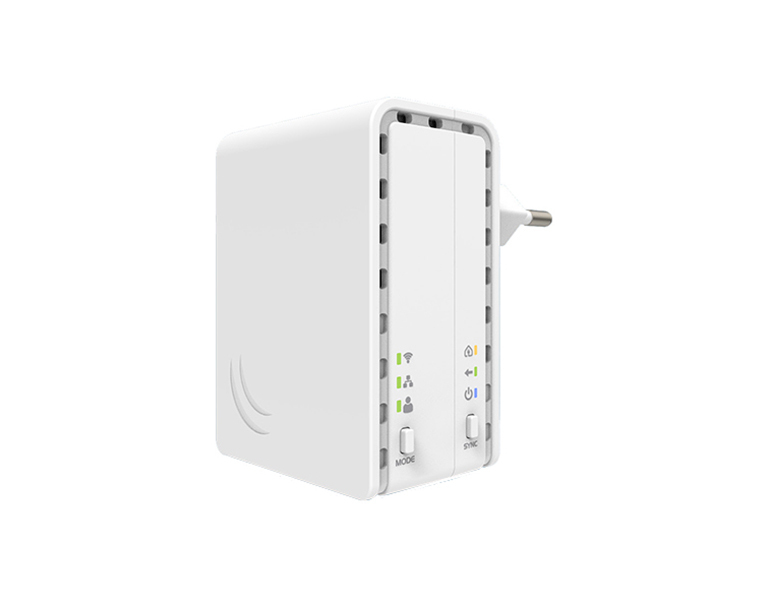 Since the device runs the same software as all other MikroTik products, it opens up a wide array of functions, all made possible with the extensive feature set present in RouterOS. 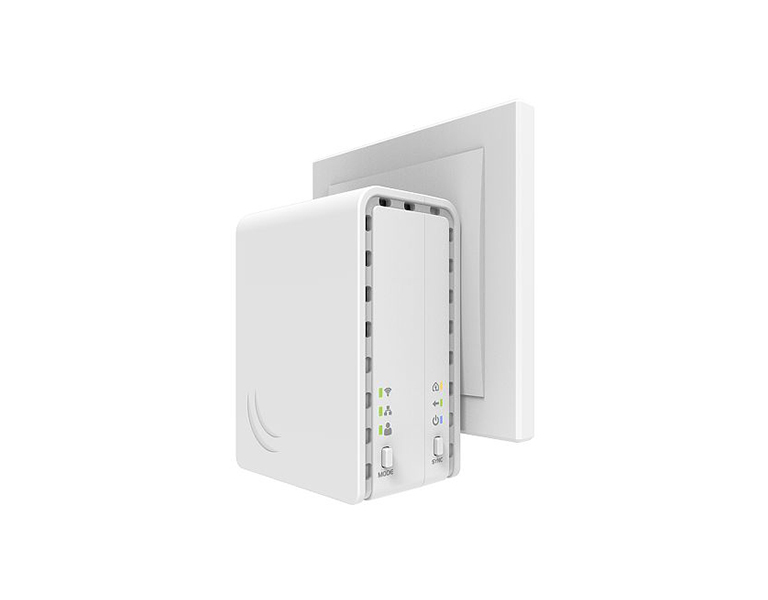 You either use the default configuration, which allows hassle free and quick installation, or dive into the rich configuration options, set firewall, usage limitations, make virtual access points for guests and more. 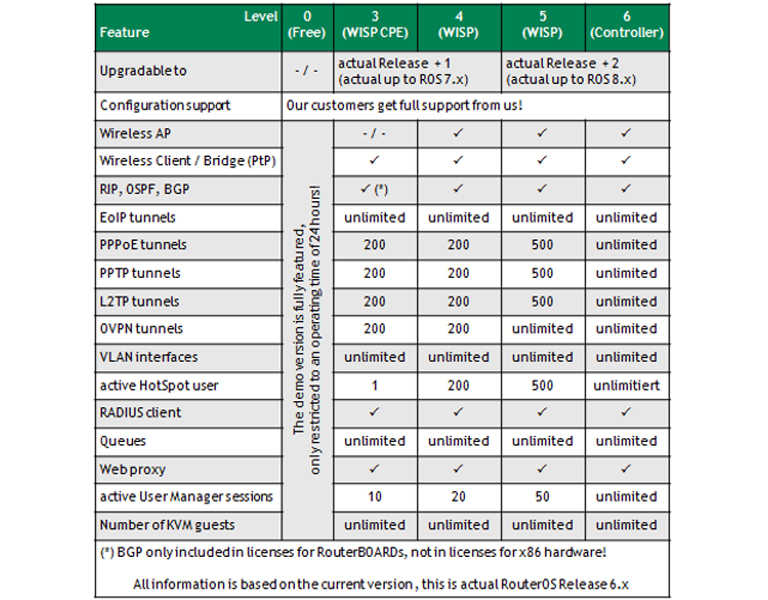 When using multiple PWR Line AP devices in your network, you can even manage them all with the CAPsMAN access point manager feature, which can be run on your main MikroTik router.